I was inspired by a stunning view...of a shaft of early morning sunlight that illuminated the vapors rising out of my coffee cup. It was one of those moments that demanded to be captured for posterity. Sometimes an artist HAS to pause to appreciate the natural beauty of everyday objects. As a longtime member of FineArtAmerica.com, I have been enjoying lots of activity at my site. FAA is an artist-friendly community that reproduces original artwork in a wide variety of professional-quality formats. These range from prints on canvas to acrylic prints, to greeting cards. 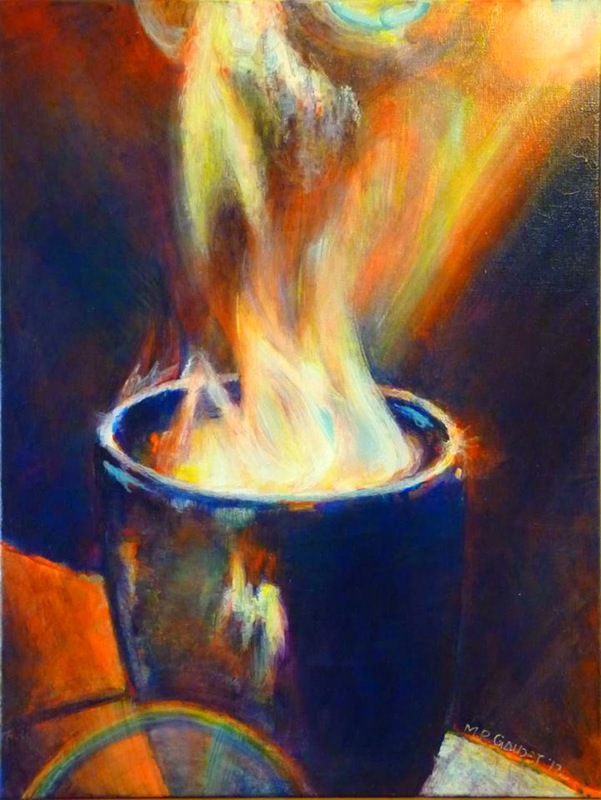 This link points you directly to my FAA site that features "The Magic Cup". 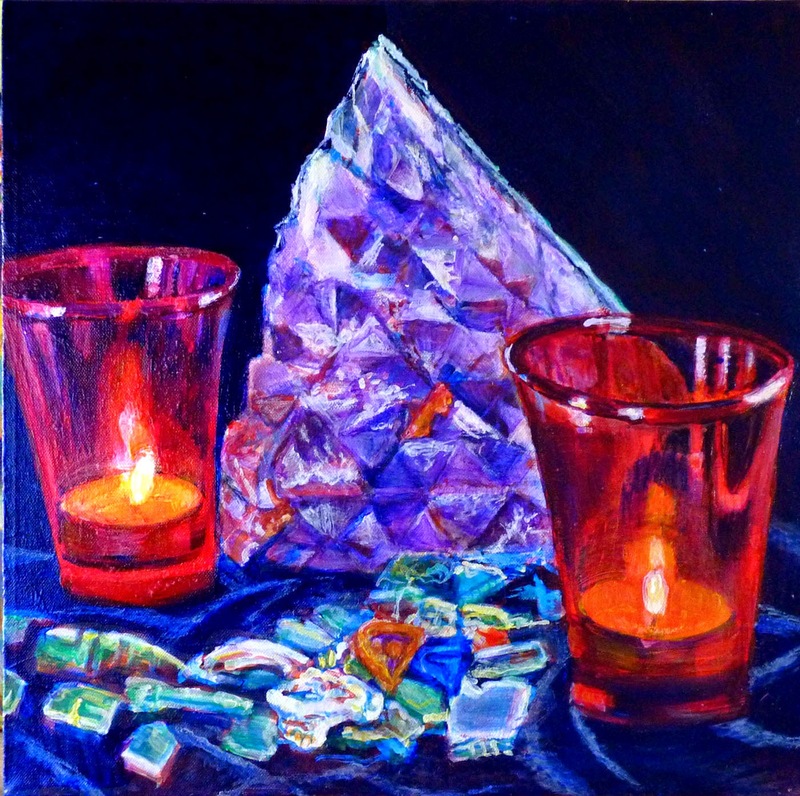 I have always loved the mystical color violet, so it was a sublime pleasure to create the still-life "Amethyst Mountain". An Amethyst geode shimmers in the light of Ruby Red candles, set against a luscious backdrop of Prussian Blue velvet. Click on this link to explore the various formats of "Amethyst Mountain" reproductions.